im looking for a black guest book / photo book for people to stick photo booth photos in, anyone seen / bought anything suitable? Just looked on paper chase there is some, going to check out amazon now. did you buy photo covers as well? whst did you use to stick photos in? 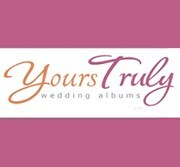 If you are looking for guest books, then visit our website and check out our sample albums and our gorgeous cover photos.